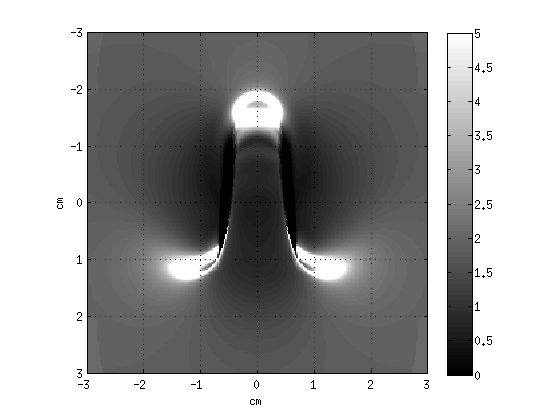 The following softwares and Matlab/Octave toolboxes are available at download. They are distributed under the CeCILL license under French law and abiding by the rules of distribution of free software. 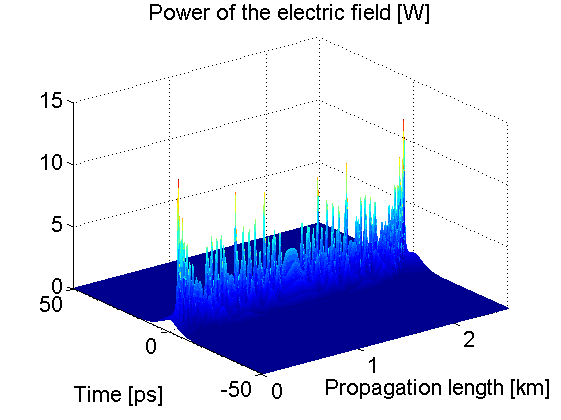 SPIP is a portable command-line driven utility written in C language for Linux and MS-Windows aimed at solving the Generalized Non-Linear Schrõdinger Equation (GNLSE) as well as the Non-Linear Schrõdinger Equation (NLSE) involved in optics in the modelling of light-wave propagation in a passive optical fibre. 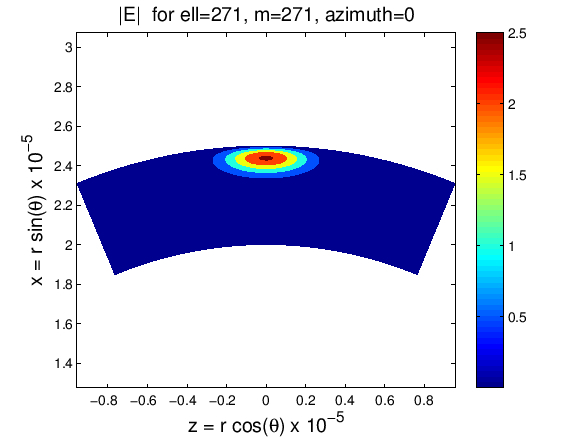 In the SPIP program is implemented the Interaction Picture method, a new efficient alternative method to the Symmetric Split-Step method together with a dedicated costless adaptive step-size control based on the use of a 4th order embedded Runge-Kutta method. 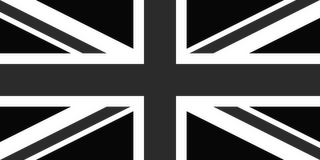 This software is governed by the CeCILL license under French law and abiding by the rules of distribution of free software. 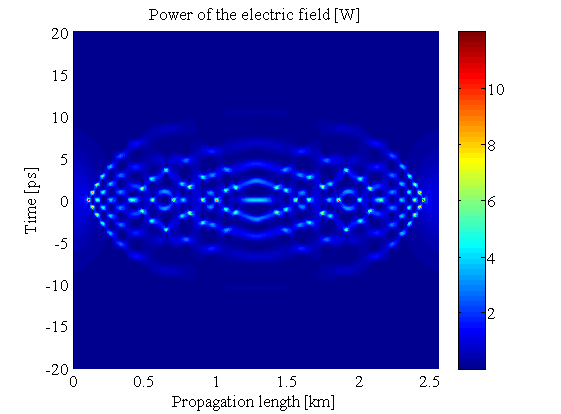 It has been published in Computer Physics Communications in 2015. 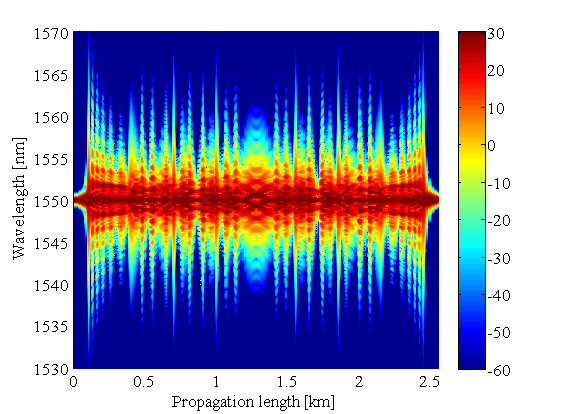 Snapshots of the SPIP program results for the propagation of a 10th order Soliton in a SMF-28 fiber. This toolbox is governed by the CeCILL license under French law and abiding by the rules of distribution of free software. 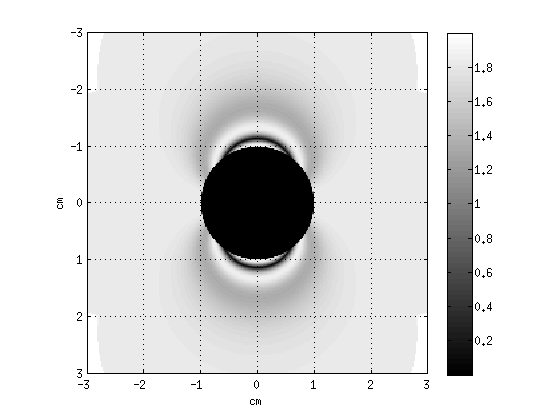 S. Balac and P. Féron, Computation of whispering gallery modes volume in spherical optical micro-resonator, Int. J. Mod. Phys. C, 2015. 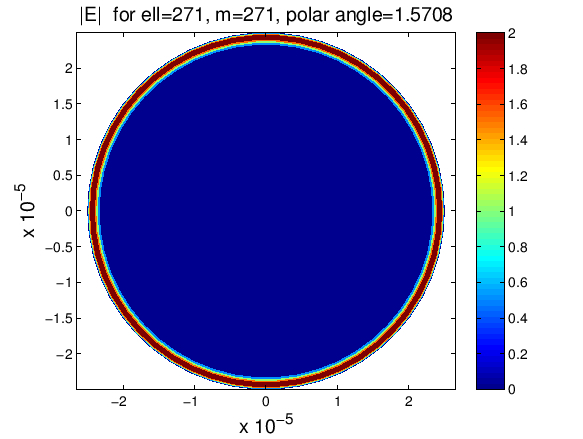 We have developed a Matlab program that simulates both the susceptibility and the eddy current artifacts in the case of a metallic implant with spherical shape (for such geometry, analytical expressions for the induced RF and static magnetic fields are known). These two kinds of artifact add to the MRI image without our knowing of the contribution of each one to the image distortion. Our program enables to hide one of the two artifacts and image the other or image the effects of the two artifacts together. It is then possible to compare for different materials the importance of each source of image distorsion. This program is governed by the CeCILL license under French law and abiding by the rules of distribution of free software. Download the ARAMIS program as a ZIP archive. MRI artifact generated by a ball of Titanium simulated with the ARAMIS program. Susceptibility artifact on the left picture, RF artifact on the center picture and the actual artifact on the right combination of both effects. 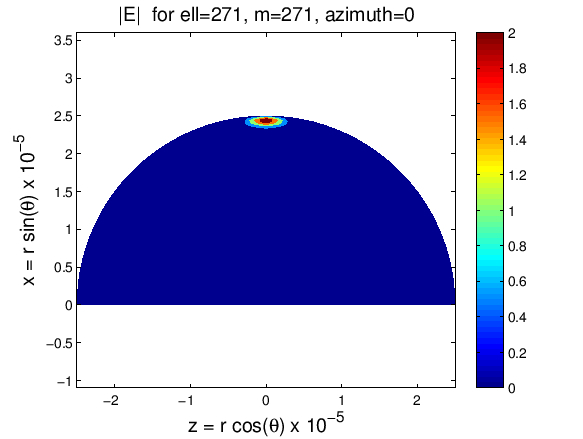 S. Balac and L. Chupin, Fast approximate solution of Bloch equation for simulation of RF artifacts in Magnetic Resonance Imaging, Mathematical and Computer Modelling (48 : 1901-1913 (2008)).